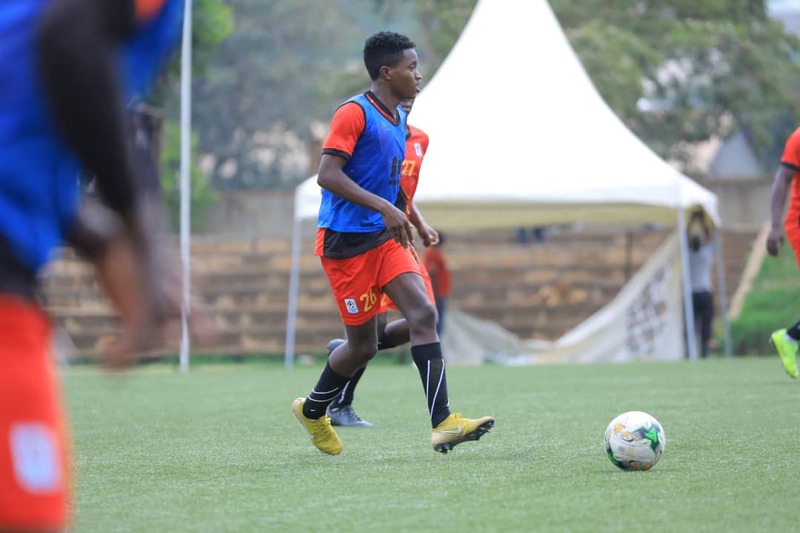 LUGOGO – The Uganda National football team, the Cranes, on Tuesday continued with preparations ahead of their AFCON qualifier against Tanzania at StarTimes stadium in Lugogo. This is the second day the Cranes have been training to help them build up for their last game in Group L.
The training was conducted by head coach Sebastian Desabre and his assistant Matia Lule. Only one player joined training today and that’s is Michael Birungi of Experess who missed the first session on Monday because of the Stanbic Uganda Cup match between the Red Eagles and Bul FC. Proline and Vipers players haven’t joined the Cranes camp because they have a Cup game later on Tuesday. It should also be noted that only 23 players attended Tuesday’s morning session minus those of Police who as well have a match against Paidah Black Angels in the StarTimes Uganda Premier league on Wednesday. Brian Majwega who was all summoned for training last week, was all smiles after being called on National team. “About the return on the national team, am excited because of the performance I have put out and the things I have been doing for my team I guess that’s why I was summoned” said Majwega. He also added that there is a lot of competition but he promised to focus on training. “Their is a lot of competition because everyone wants to be among the nine but generally my focus is on training and the coach will decide.” he added. The Uganda cranes will continue training on Wednesday to beef up with the preparation. Foreign players will camp in Egypt and will be joined by the selected nine from the local camp.